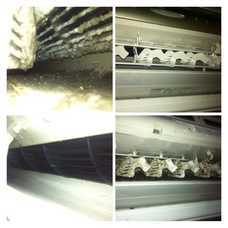 Over time, dust and allergens collect in a buildings ducts and vents which are then pushed into the air by the unit. A properly maintained air conditioning unit will improve the quality of air, and prevent allergens from entering a home. Clean filters and coils allow better air quality and prevent respiratory problems. Probably the most appealing benefit to maintaining a Hair conditioning unit is saving money. When a system is running efficiently, it does not have to work as hard to maintain the room’s temperature. This lowers the cost of electricity, and the cost of replacing a system’s failed components.